Sep 04, 2017 Thank you for writing Bath Planet to let us know about your concerns. Our dealers pride themselves on providing the best products and customer service in the bath remodeling industry. Our goal is to resolve the issue so you are 100% satisfied. Please call our Corporate Office at 800-963-8827 and ask for Angela in Customer Care for further assistance. 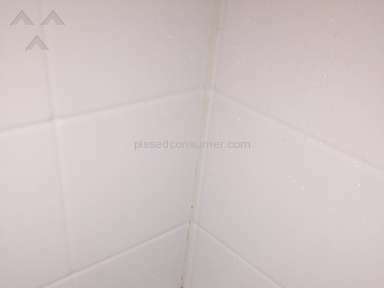 On 8/8/2016, we made an appointment with Bath Planet to have someone come to the house, look at a master bedroom shower we were considering replacing, and give us an estimate. A salesman showed up and gave us a 3-hour high-pressured sales presentation, and everything he showed us represented Bath Planet. It was 11:00 PM before we finally said we needed to wrap this up, and he brought out the quote sheet that said Paradise Home Improvement, not Bath Planet! He assured us we had nothing to be concerned about, that they represent Bath Planet, and all of their work is 100% guaranteed. He kept mentioning that Bath Planet has the Good Housekeeping Seal, and we wouldnt be disappointed. We went ahead and signed the contract, and that is when the nightmare began. The materials were ordered, and a 3-day appointment for installation was made in October for installation, and they assured us everything would be completed in that timeframe. However, when they started to install the glass, we noticed it was plain glass, not the Rain glass we requested. When the installer called Dan, the Project Manager, Dan said the contract did not mention anything about Rain glass. I got on the phone with him, and pulled up the work order that our salesman wrote up the same night as the contract, and it clearly listed we wanted Rain glass. He tried to get extra money from us, but once he compared the work order and the contract and they had the same pricing, he said he would order the rain glass for us. It took another two weeks to get the materials and the installation completed. 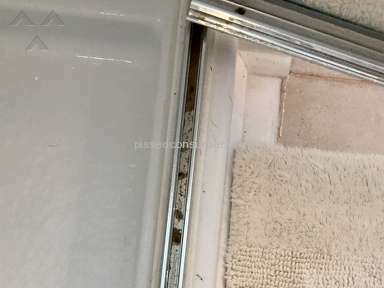 We paid over $10K for a shower system that was supposed to be easy to clean, and we would never have to worry about mold or mildew. 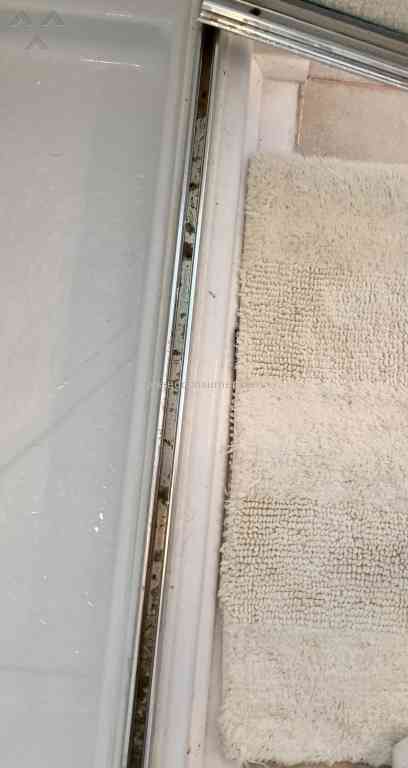 Water is building up under the glass door frame, and it is very difficult to clean. 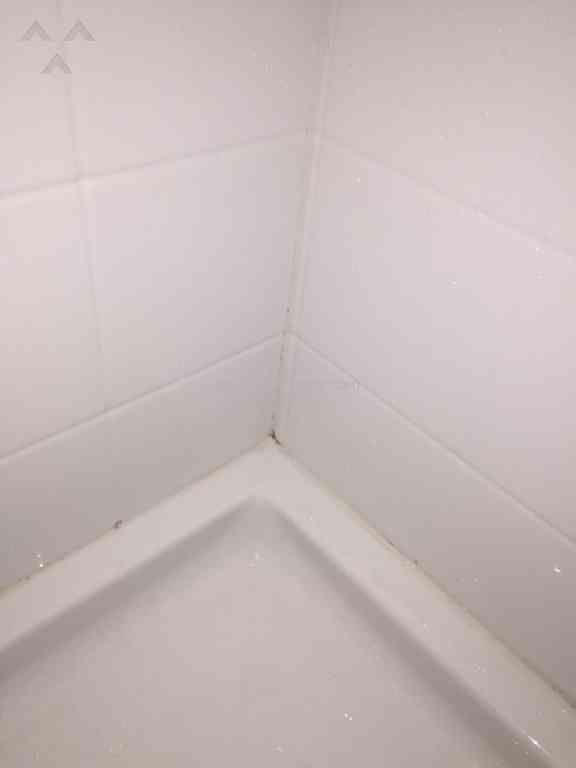 We need holes drilled to let water drain after showers. 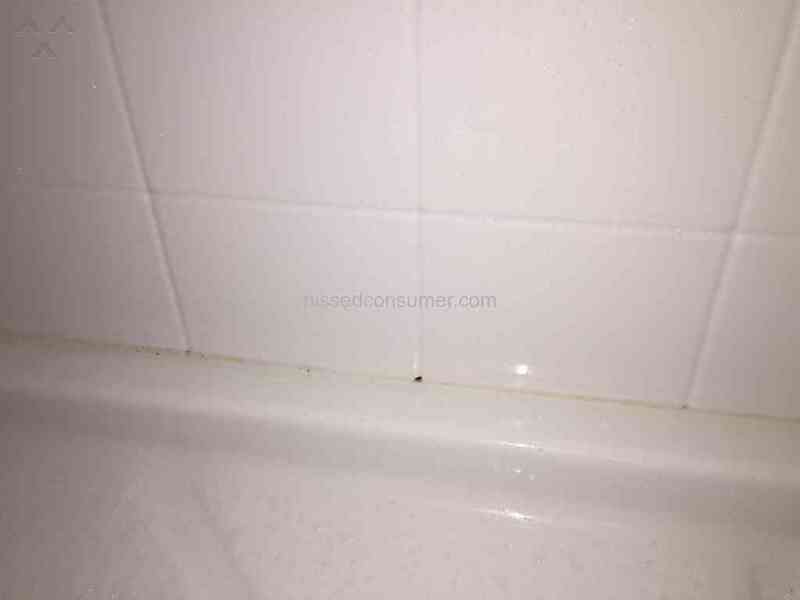 The sealant around the base of the shower has black spots behind it that we cannot clean. I have used three of the approved products to clean this shower, and it never looks clean. 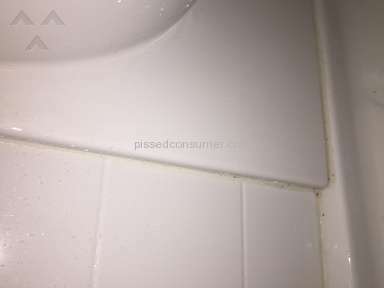 Also, when they joined the acrylic tile to our tile bathtub, they chipped the real tile, and the caulk they used to cover it looks terrible! We are very dissatisfied with the product, their lack of customer service, and the constant lies and false promises. 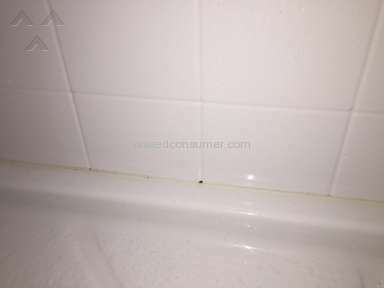 Below is a timeline outlining how long we have been trying to get this taken care of with Paradise Homes, supposedly doing business as Bath Planet: 5/1/2017 Contacted Dan (Project Manager) via text and phone call to let him know the problems we were having with the door frame retaining water and the mold/mildew spots in the sealant. Memorial Day Weekend Received a voicemail from Robert, a contractor, who stated Dan asked him to call and set up an appointment to look at our shower. We were traveling that weekend, so I called him and left a message when we returned. I never heard another word from him. Several attempts were made at various times to try to get in touch with Dan, but he would not return phone calls or text messages. 7/24/2017 I called and left a voicemail for Dan to call me to schedule an appointment. While I was in a meeting at work, he called and left a message saying he was in Monroe, and he could stop by the house to look at the shower if I called him in the next five minutes. When I got out of my meeting, I immediately called him, and he said I was too late. I explained to him that we would need notice as to when someone was coming to the house. He said he would get in touch with one of the contractors, and have them schedule a time with us. 8/2/2017 I had not heard a word from anyone about scheduling a visit, so I called and left a voicemail for Jeff Becker, the General Manager of Paradise Homes. In the voicemail, I explained the problems weve been having with the shower, and that I have been trying to get someone to come out since May. I let him know that I would be contacting the BBB and Good Housekeeping to report the problems. He immediately called me back and said this was unacceptable, and he would move us to the front of the list to have someone look at our shower. 8/10/2017 I still had not heard anything from Jeff or a contractor regarding scheduling an appointment. I called to ask what the holdup was, and Jeff assured me we were on the schedule for the following week. When I asked him when we were scheduled, he said he couldnt remember what day, but that he was sure he saw us on the production schedule. He said he would have someone get back with me to let me know. 8/18/2017 Another week went by with no word from Jeff, until he called with a Customer Service follow-up call to see how everything was going. I told him I still had not heard from anyone, and I would be contacting BBB. He said there was no need to do that, he had fired Dan, and he would have the new Project Manager call me BY NOON on Monday, 8/21/2017. 8/21/2017 Never heard a word from a scheduler or Jeff Becker. 8/22/2017 At 2:00 pm, I received a message from Jeremy Barnes, a scheduler, to get some notes about the problems we have been having, and he said he wanted to get someone out to help ASAP. I called him right back, and he asked how soon he could come out, and he would bring a technician with him to make the repairs. I told him I could be available at 5:00 PM the next day, 8/23/2017. He said he would be there with a technician at 5:00 PM, and he assured me he would call if there were any changes. 8/23/2017 I left work early so I could be home by 5:00 PM. By 6:20 PM, no one had shown up or called, so I called Jeremy Barnes to ask him why no one had come by or called to let me know they were running late. He said he had a technician that was in Rock Hill and was coming to Monroe, and he would need to call him. Jeremy called me back at 6:30 PM, and he said the technician was still at another job site, and he had at least another hour of work that he needed to complete before he could get to our house. Jeremy said the technician could still come, but he probably would not get there until after 8:00 PM. I asked Jeremy why no one had called to let me know, and he could not give me an explanation. I also reminded him that Jeremy said he would come to the house along with the technician, so I felt I was lied to again. He said, I could have been there at 5:00 PM, but I couldnt actually do the work! At that point, I told him I would be contacting the Better Business Bureau. I didn't like: Sales, Did not get what we paid for, Not returning several phone calls, Marketing presentation. Review #1091616 is a subjective opinion of UnhappyNC2017.